Each month we will bring you info on events for kids in the Siouxland Area. If you know of one we have missed, please leave us a comment or send us an email. 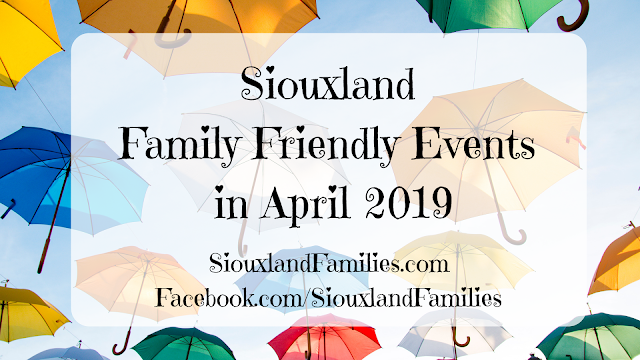 We will update our lists throughout the month as we hear of new things to do in Sioux City and our surrounding communities, so check back often for the latest scoop! We also recommend checking out our Event Lists tab to find our lists for other months. 9am-noon: Kids Building Workshop: Birdhouses at Home Depot. Register online here. Amazon links are affiliate links and if you choose to buy through one, I may get a small % of Amazon's profits.